Griggs Dakota: Can She Bake a Cherry Pie? Oh Where have you been Billy Boy, Billy Boy? Oh Where have you been Charming Billy? I have been to seek a wife, she's the joy of my life. She's a young thing and cannot leave her mother. Can she bake a cherry pie charming Billy? Quick as cat can blink her eye. She's a young thing (I love that part) and cannot leave her mother. 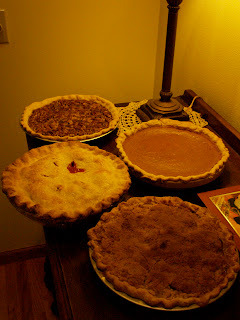 Beginners should start with basic two crust fruit pies or a pumpkin pie. Choose simple tested recipes (like those found in a Betty Crocker Cookbook). The recipe found on Libby's Canned Pumpkin is delicious. Practice until you are satisfied. I make up batches of pie crust and keep it in the GriggsDakota freezer. And stir the two together with a fork. If crust intimidates you, buy refrigerated or frozen crust. before turning it into a prepared crust and topping it off. A pie takes about an hour to bake. I often brush the top crust with cream and then sprinkle it with sugar. In the hour it takes to bake, the crust edge becomes too brown. Always use a collar on your pie crust. If you don't have one, you can make one out of aluminum foil strips. Cut 2 inch strips and fold them around the edge of the crust. Remove the collar during the last ten minutes of baking. 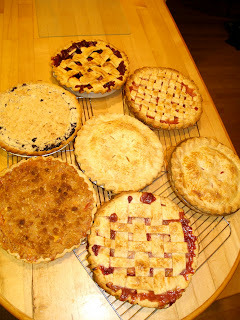 Mrs. Anderson's pie crust shields are available on Amazon.com. Relax. It's really not that hard, but it does take practice. 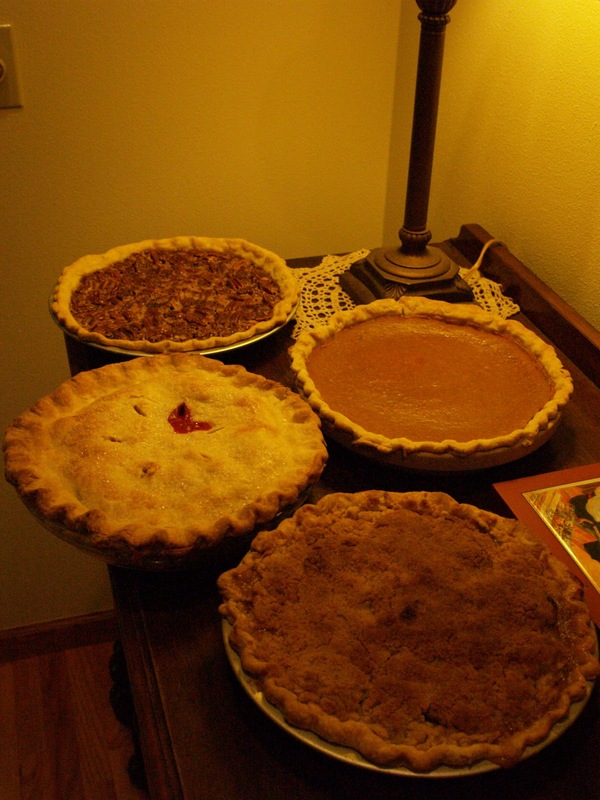 Homemade pie is worth the effort for the cooks in GriggsDakota. Remember: The best pie bakers are the ones that bake pie. And please, leave your mother. Even Billy Boy knows that's a lame excuse. Will you please bring me one of those? Please?!? Yum. 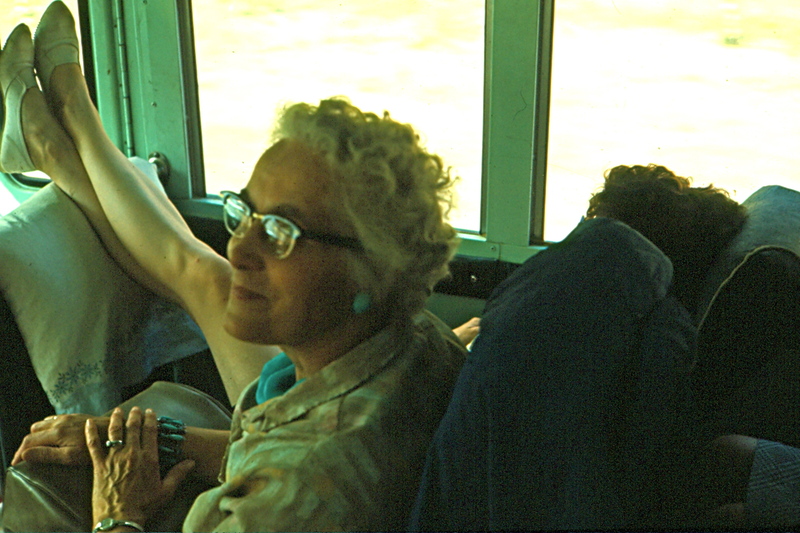 Oh, Jane K., from the time we met at college and were roomies you were making cherry pies!! I remember it so vividly. Actually I think we had cherry pie in our dorm room, too, when we would have Fred and the gang over for one of our many parties! !